Divergent, the adaptation of the first book in Veronica Roth’s best selling dystopian young adult series, didn’t exactly set the world on fire with critical praise, but it made more than enough money to ensure that we’ll be seeing the remainder of the trilogy on the big screen. Sure, it wasn’t Hunger Games money, but not many movies without the words Marvel or Transformers in front of them do that. Part two, The Divergent Series: Insurgent, is less than a month away—you can officially buy your tickets starting today—and Summit Entertainment has released the final trailer. If you’ve been paying attention, or even just know what the whole story is all about, there isn’t much here that will come as any great surprise. There’s lots of running through the woods, lots of fighting, and, of course, tons of angsty teen romance, which is mostly made up of deep stares and heavy breathing. 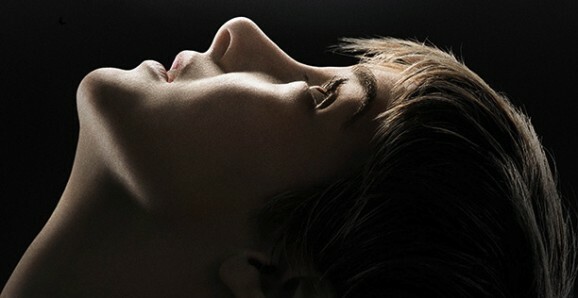 There’s also a healthy dose of those crazy, fever-dream-looking visuals that you have to imagine occur when heroine Beatrice “Tris” Prios (Shailene Woodley) goes on one of her internal journeys. Whether you’re stoked or not, you’re getting more from The Divergent Series, with the upcoming sequel Insurgent. While the first film was kind of bland and generic, everything we’ve seen this time around has focused on the action, adventure, and strange, almost psychedelic imagery. That includes this new trailer. This short preview really plays up the oversimplified dystopian social system from Veronica Roth’s trilogy of young adult novels. In a post-apocalyptic Chicago—you’re never sure exactly what exactly what tragedy led to the end of this particular world—society has been segregated into five different factions based on your most dominant personality trait. Divergents, those people who don’t fit into any single section, are the greatest threat to this new way of life for some reason, which is where heroine Beatrice “Tris” Prior (Shailene Woodley) falls. The Divergents will destroy society, at least according to Kate Winslet’s sinister villain Jeanine in this new TV spot for The Divergent Series: Insurgent, part two of the now four-part saga. We’re still not exactly sure why they’re such a threat to the status quo, other than they’re different and can think for themselves, which is always a problem in teen centric dystopias like this, but there has to be more to the story than just that, and figuring out what makes her so dangerous seems like it’s going to be an important part of the heroic quest of protagonist Beatrice “Tris” Prior (Shailene Woodley). Summit Entertainment has also unveiled a new gallery of photos to introduce some of the new faces and reacquaint you with some old ones. They’re definitely playing up the action and adventure portion of the movie in this spot. It does, however, focus more on what’s going down in the real world, rather than those crazy, fever dream looking scenes that have been so prevalent in the marketing up to this point. There are still some exploding skyscrapers and flying buildings, stuff that appears to be part of those internal vision quests the characters go on from time to time, but there’s some nuts and bolts plot stuff too. For instance, you your first look at Naomi Watts’ Evelyn, the leader of the factionless, who play a larger part in this chapter. Still hoping that The Divergent Series can fill the void that The Hunger Games is leaving as it wraps up, Summit Entertainment is doing their best to hype the upcoming second installment, Insurgent. (You’re probably either psyched for this movie or not.) To further their goal, the studio has released these five new animated character posters. If you’ve already seen The Hunger Games: Mockingjay—Part 1 a bunch of times and are wondering how you’re going to make it through the next year without your teen dystopia fix, never fear, what you need it right around the corner. The Divergent Series: Insurgent, the adaptation of the middle chapter in Veronica Roth’s young adult trilogy, hits theaters in March, and Summit Entertainment dropped this intense new trailer to help get you through the coldest months.